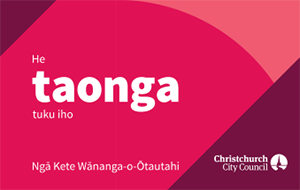 Christchurch City Libraries offer this exciting service as a way to up skill your staff and increase your customers' enjoyment of stories and digital literacy development. Our staff are a mixture of library and education professionals, so they bring a variety of expertise to the sessions. Some of our staff are specialists in early childhood literacy and others are registered teachers or qualified librarians – the particular staff presenting your session/s will depend upon the content and expertise required. Sessions are designed with the requirements of Te Whāriki, the early childhood curriculum in mind. Children develop familiarity with the properties and character of the materials and technology used in the creative and expressive arts. Children develop the ability to represent their discoveries using creative and expressive media and the technology associated with them. And familiarity with stories from different cultures about the living world, non-fictional and fictional forms. There is also an emphasis on bi- and multi-cultural content and thematic content for those topics that are becoming increasingly popular e.g. Matariki. Our staff have a depth of experience in presenting these sessions in a variety of situations and are regular contributors to conferences both here and in Australia. We regularly provide professional development sessions around New Zealand in the use of ICT in early childhood literacy education. “ebooks vs treebooks” It’s not a competition. This session covers the rationale for using digital stories. Use digital media to increase engagement and help bridge the digital divide. Use digital stories to add another dimension to your learning programmes. How to begin digital storytelling for teachers and librarians. What is the difference between an ebook and a book app? How do you discriminate between good and better digital stories? This can be a stand-alone session or the content can be incorporated into one of the other sessions. Each year more library activity occurs online. We offer hundreds of free online resources: ebooks from several suppliers, free music through Naxos and Alexander Street, free magazines through RBDigital Magazines and much, much more. This session can be tailored to show you how to make the most of your library membership to gain access to resources for your education centre. We can support all areas of the NZ curriculum and would love the opportunity to help you make the most of our services and programmes.